Description: Twenty-two year old James Boswell a Scottish biographer first met fifty-two-year-old Samuel Johnson English writer in 1763. Boswell soon became great friends with Johnson their friendship lasted twenty-one years until the untimely death of Samuel. They both bonded through the craft of writing. Throughout much of there time together James took those years and dedicated them to write about Johnson's life. 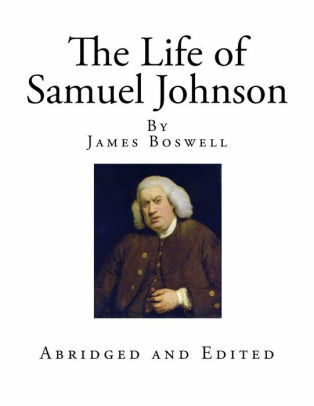 The biography was mostly based off of notes from which Boswell constructed when talking to Samuel about his life. Most biographers don't get the privilege to speak with the person they are writing about. So, Broswell capitalized on their friendship. He used Samuel as a muse to write one of the best literary biographies of his generation. This book still reaps the benefits of literary success. From one writer to the next I will give you a look at the written journey James and Samuel went through well creating their masterpiece.